If you watch TV, then I am sure you have heard of the funny and good show, How I Met Your Mother! 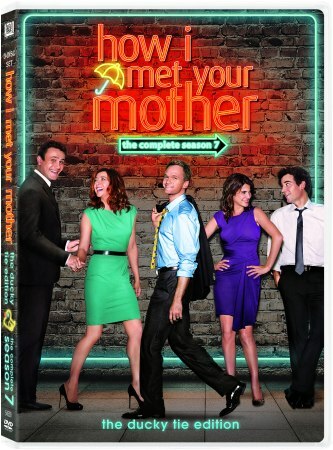 Neil Patrick Harris is so funny in this show and it is definitely worth watching! They are already done with Season 7 and it has just been released so grab it now to catch up on the show! With both a baby and a wedding on the way, change is in the air and awesomeness abounds in the hilariously unpredictable Season Seven of How I Met Your Mother. As Marshall and Lily move away to start their family, Ted continues the search for the woman of his dreams. Meanwhile, Robin reveals a shocking secret and special guest star Katie Holmes joins the fun in the long-awaited return of the Slutty Pumpkin! And, wedding bells are ringing at last for confirmed bachelor Barney, but why is he wearing that ridiculous ducky tie, and just who is the “lucky” lady?